Before the trip, the world tired me and I found it hard to breathe. 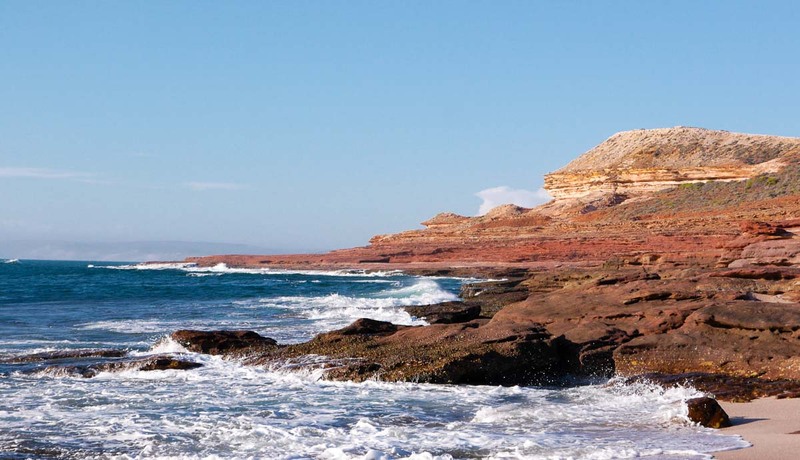 I packed my luggage, took a five- hour flight to Perth, and a seven-hour drive down to you — Kalbarri. I reached and you were not just a host but a friend. You handled me with care and healed me into peace. Your tours were reminding of how stirring the earth can be, so rich yet so humbling. The sights I saw, the memories I kept, I wrote them into letters. A collection to preserve them against the erosion of time; to remember the relationship we shared and how special you continue to mean to me. Wait for the next time I visit, I’ll pass them to you in person. Translating the words into feet light on your soil, heart full under your sky. See you soon. I’m always missing you. 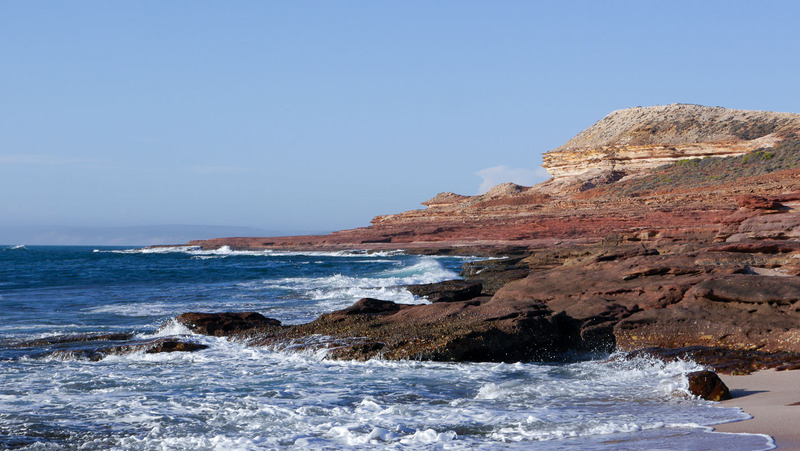 We took the Bigurda Trail to see you — an 8-kilometre-stretch of coastlines and cliffs. And that was when I discovered that even the ambitious sky with its overarching blue is nothing when stood beside you. 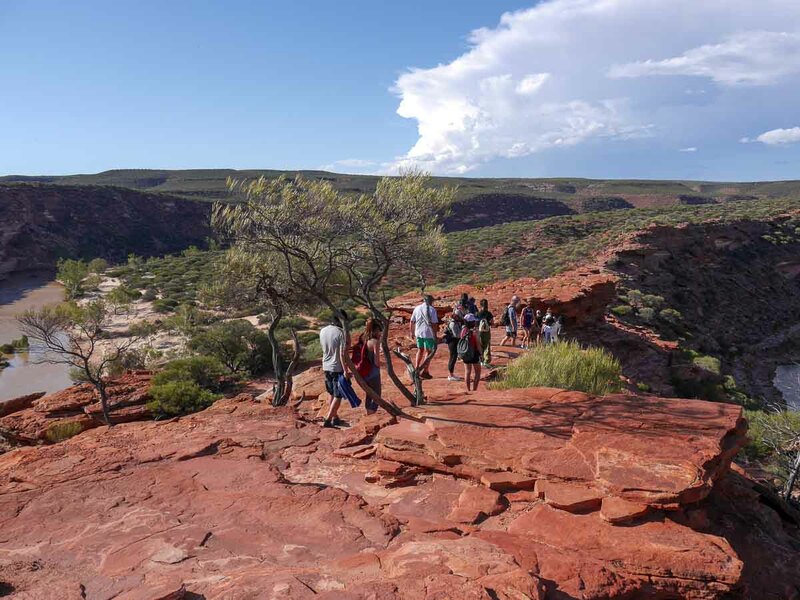 Your necks of sandstone cliffs towers at a 100-metres, wrinkled with age, coloured with time, the Indian Ocean – a deep emerald, the colour of a well-preserved jade crashes at your feet and you stand still. I react naturally to this sight. I gasp. I run. There is more of the trail, I want to see more! I need to see more! But then the sky shifts, and I suddenly see the bleakness in your grandeur. 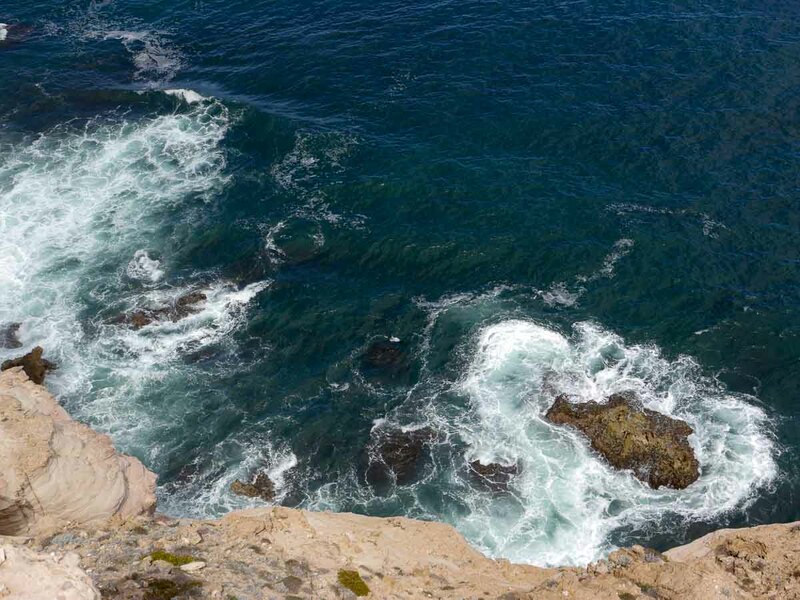 Surrounded by the swirling tide, your majestic statures look lonely in the vastness of the sea. I sense your restlessness — standing there under the parching sun and reflecting its white light in defeat. Held captive by your body, stranded from land, you become a stagnant weight amid the flooding. But just then, the edge of your cliff beckons me and I go to see. I hold my breath and beneath the crust you show me the rage beneath. 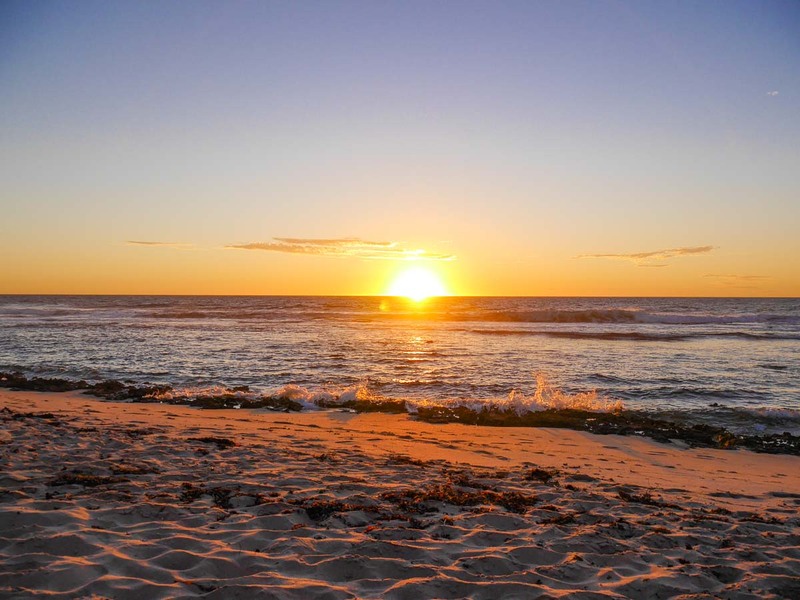 The Indian Ocean pants and swallows your rocks, threatening to consume it in thick and angry foam. Crashing and resurfacing, crashing and resurfacing. You emerge steady and unshaken, your base always quick to wring dry. At this moment, the crust under me threatens to break under my weight. I retreat. But I smile. With the Indian Ocean begging at your feet, I guess I didn’t have to worry that much after all. You have all of us at your mercy. We’ve met three times and I’ve seen you through three different perspectives. From trotting through your shallow waters on a horse to seeing the panoramic views of you through Nature’s Window. 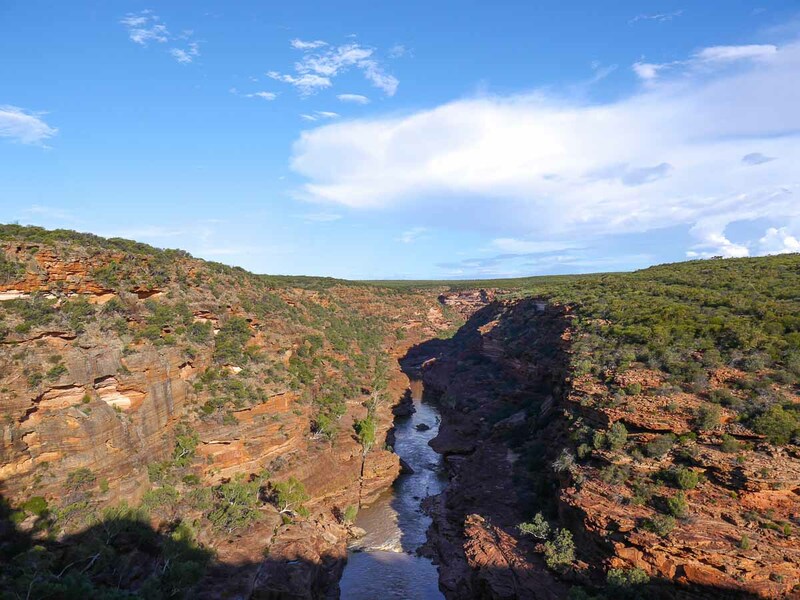 I still always return to the image of the Murchison River Gorge I have of you in my head. Time its construction, the gorge is a portrait of plummeting sandstone cliff faces into the steady stream of the meandering river. The valley widens into the horizon and steeps into a landscape of Ordorsipain Redbeds and Tumblagooda Sandstone. 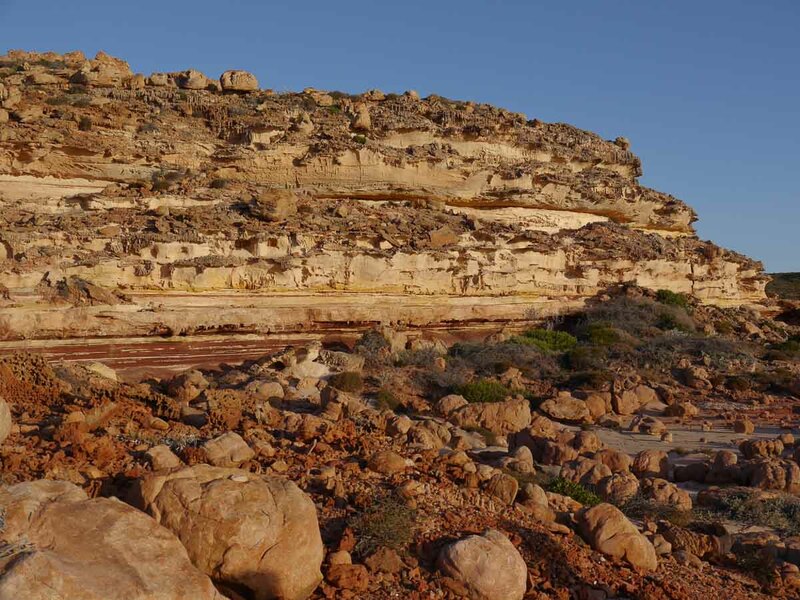 The trail to you are stacks of rocks, plates of fiery orange and red, pedalled into fossils from millions of years ago. Other than that, everything seems to be the colour of the earth, even your water is camouflaged with the rain and mud from the past few days, where it winds and eventually settles into a rippling ebb. From afar, it looks almost unmoving, but I inch closer and I see the skimming froth and its web of lines. The sun moves to a spot where it soaks part of your gorge in a shadow. It almost looks like a slab of earth was portioned right in the middle, cut through its belly to reveal you — the silken river. I look up and you glisten at me. Your name cracks me up, but other than that you are pretty cool. It was an impromptu decision to visit you, and I’m glad it was in the evening that I did. The earth quietened for your chorus of waves while your blushing sky retired into the night — spilling blue and settling orange. I will remember how the sun broke like a yolk and spilled into the bed of your ocean. Your sand looked like bracken soil under the dim light but was smooth under my feet. Small slopes and humps of fine, baby sand. And your water, it gleamed with the setting sun and was illuminated by dusk, its waves caricatures of little dancing figures disguised as gleeful lapping water. Come to think of it, the whole setting was like a circus show. The sheets of water balanced atop one another where some juggled in the distance. The tide of your waves mimicked a circus master’s back-combed mane or a performer’s cape riding through the wind. You were saturated in the golden hour and I think a spell was cast on me. I was sitting on some makeshift boulder-chair, the taste of ocean on my lips and the air in my hair, thinking I could imagine anything. You were slightly dangerous but a lot of fun. It felt like a badass Geography field trip. However, if I were ever to visit you again, I’ll be sure to wear a better pair of shoes. You made mine split when I came climbing down one of your too many rocks. So I guess there was a reason for the “Category 3 Hike” sign after all. But don’t worry, all was forgiven when I saw the views. How could I not? Your plain of marbled floor, round boulders and Tumblagooda Sandstone stretched from ear to ear. Aisled with your coastal heath bending against the heat, your rocks looked like the sun warmed them into a honey glaze. As I stood on one of your rocks, I thought about how lucky I was to see this without the wait. It took 400 million years to create this, and Mother Nature’s gift in exchange for your patience is just spectacular. But just as I was getting comfortable with you, I saw a sign that cautioned me against going too near to the Red Cliffs of Rainbow Valley. Of course I had to go there immediately. I was going to look from afar initially but the crashing waves against the shore tempted me in closer for a good view. 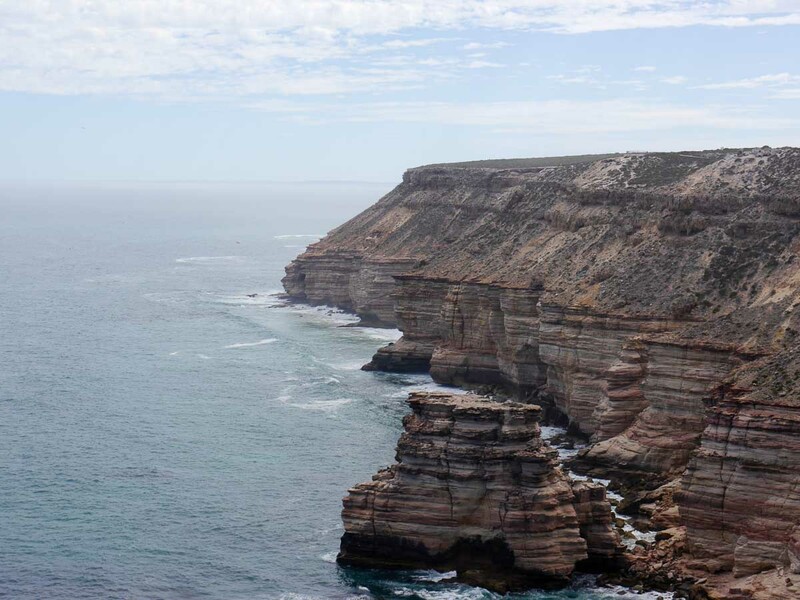 It was entrancing – the Indian Ocean’s churning collision with the cliffs, how it clawed hungrily at the coast, stubborn with rage, constantly receding and colliding again. I was fascinated. I kept inching closer and closer until the bow of the crescent moon peeked out from the sky and my friend called out to me to head back. But until today, I still dream of your sights to sleep. 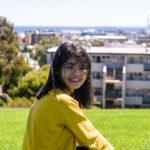 Disguised as a communication studies undergraduate from Nanyang Technological University, I am just a child constantly overwhelmed by life’s ambitions. Recharged through my travels, I journal my memories onto paper and write to remember the intimacy we share with the world. The earth cradles me in its vastness, and I always venture on – as a discoverer.